Home > Meditation Equipment > What Are Meditation Altars? 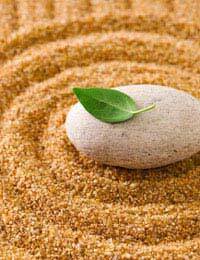 Meditation altars are basically a space which you reserve in which to practice your meditation in peace. The word ‘altar’ is somewhat misleading in that it suggests a religious connotation. Whilst that’s perfectly acceptable for those who place religion as being of key importance in their lives, a meditation altar is simply a statement to all who live with you or who visit your home that this is a ‘special’ place which is extremely important to you when it comes to your meditation and any other kind of spirituality or contemplative thought. When creating your meditation altar, you want to choose a space to locate it which reflects your own personality and where you feel most at home and relaxed. It needs to be a calm space if you meditate regularly so you’re probably going to want to choose an area of your home which is less noisy than others – perhaps a study if you have one. It could even be in your shed if that’s the quietest and most relaxing place you can find. Your altar could be a small bookcase, a small table or you could have something else in mind which you can use. It might be free standing or you can attach it to a wall. It should reflect a space that reminds you of what it stands for, that being a place where you can reflect and contemplate life and meditate too. On the altar, you should place items which hold a deep sense of meaning to you when it comes to reminding you of your meditation goals. These might include incense, candles, photographs, pictures, sacred scriptures and other decorative objects that represent things that are important in your life. A nice drape in your favourite colour is another way of adding warmth and to personalise your meditation altar. If you are of a religious or spiritual persuasion, then once you’ve got your altar looking the way you want it to, you can call upon the saints or those who are affiliated with your spiritual or religious beliefs to bless your altar and to infuse it with the power to assist you in support of your own spiritual growth. The positive symbol of a meditation altar will help you to establish a ritual for meditation and contemplative thought. When passing it each time, for example, you might wish to pause and reaffirm a positive goal which you’ve set for yourself or to give thanks to a higher being or to summon divine support. You might choose to do this in conjunction with performing another ritual you have chosen. This might be burning some incense or lighting a candle, for example. Your meditation altar should also represent purity so make sure you keep it looking clean and dust it regularly. The most important aspect is choosing a meditation altar which makes you feel a kinship with it as a ‘special’ place to go for meditation, comfort, solitude and quiet contemplation.